Missy Foard attended Gettysburg College and Campbell Law School. After graduating from law school in Raleigh, Missy moved to the Queen City and has never looked back. Missy is a partner at SeiferFlatow, PLLC, and her practice focuses on family law and workers' compensation. 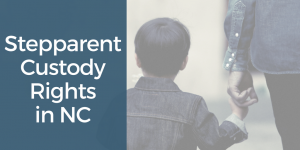 Missy’s mission is to help confidently and compassionately guide people through challenging situations involving divorce, custody, and family law. In her free time, Missy enjoys reading, running, and exploring Charlotte and all it has to offer with her husband and three (yes, three) dogs. As a PA native, Missy is an avid supporter of the Pittsburgh Steelers, though she has quickly grown to consider the Panthers “her” team, as well. "What most distinguishes SeiferFlatow from other firms is our drive. We are willing to work late, long, and hard to help clients. The whole team truly takes active roles in ensuring each client's case is handled with professionalism, urgency, and care. I'm proud to be a partner of a firm whose values so closely align to my own." 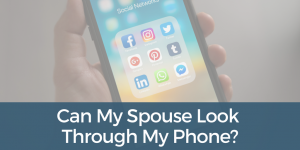 Can My Spouse Look Through My Phone? What Do Clients Say About Missy? "The best law firm HANDS DOWN. Missy went over and beyond to make sure my needs were met. Very knowledgeable staff. I couldn't ask for better representation. Thank you!" "Missy was my attorney on my case. She was thorough, listened well and got my case handled in an excellent way. My settlement was a good and I would recommend her to anyone wanting a professional attorney that communicates well and handles all the issues." "The first attorney I hired wanted me to sign an agreement that I was not comfortable with. I then hired Missy and she filed for a court hearing and started taking their testimony. I was really impressed with her aggressiveness. Thanks to her work, they offered a much better agreement and we got the deal I needed before having to go in front of the judge. I am glad I took a chance on Missy and am thrilled and hope other people use her and have similar success."